Aiden Markram. Photo: Lee Warren/Gallo Images. The national selectors hardly had a reason not to pick the exciting young opener for the Test series against Bangladesh. Given that his form the past few weeks have almost made it impossible not to do so, the Proteas will hand Aiden Markram his Test debut against Bangladesh next week. 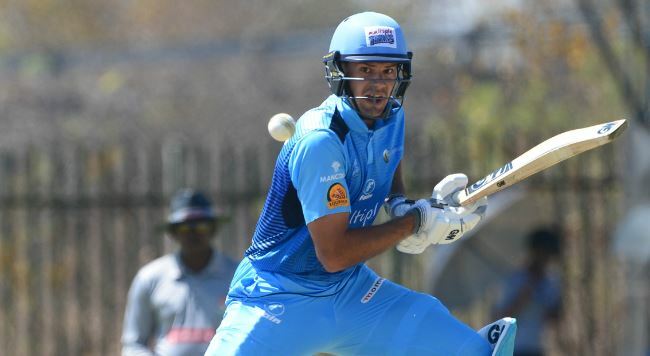 The national selectors on Friday confirmed the 23-year-old Titans opener will face the new ball in the first Test in Potchefstroom. “Aiden has been knocking on the door for some time now,” said Linda Zondi, the convenor of selectors. Handed the captaincy in this week’s Sunfoil Series round of matches, Markram hit 119 and 87 against the Dolphins to book his place. A week earlier, he smashed a brilliant 134. There are no further surprises as new coach Ottis Gibson has stuck to the men that did duty on an ultimately disappointing tour of England. Wayne Parnell and Andile Phehlukwayo have been included as the all-rounder options as Vernon Philander is not available for the first Test. That said, Parnell will have to undergo a fitness Test next week. As a result, promising 19-year-old Highveld Lions player Wiaan Mulder will be training with the squad as back-up. The squad is only valid for the first Test. Proteas: Faf du Plessis (c), Hashim Amla, Temba Bavuma, Theunis de Bruyn, Quinton de Kock, Dean Elgar, Keshav Maharaj, Aiden Markram, Morne Morkel, Duanne Olivier, Wayne Parnell, Andile Phehlukwayo, Kagiso Rabada.